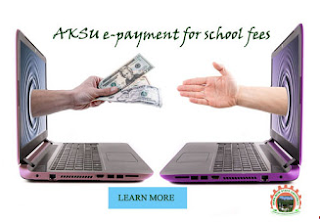 AKSU Introduces New Online Payment Platform Called AKSU E-Payment: The Akwa Ibom State University has introduced the case of the online option for making school fees payment. This is to reduce the queues in the bank and to make fee payment simpler for our Students. This innovation will also eliminate the need for the barreling long distances to make payment as a result of the non-availability of banks within the University environs. Enter your Registration number & access code to login to your account. Select the mobile payment option. On the next page; fill the form with your Account details (i.e First name, last name, Email. An OTP will be sent to your phone then enter the OTP given and click confirm payment.